Atif Aslam is known and loved by everyone. 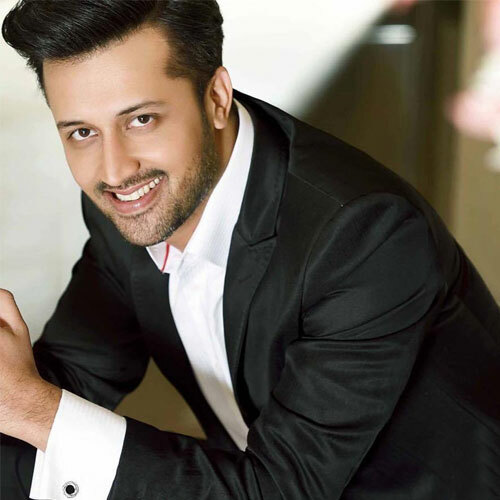 Atif Aslam is a Pakistani pop singer and a film actor. As an actor he made his debut with the Pakistani film Bol by ShoMan. But he has interest over singing than acting. So he gradually chose his path towards singing. As a playback singer, he started his career with the song "Wo Lamhey" for the bollywood movie "Zeher". From then he has sang several songs both in Pakistan as well as in Indian films. He predominantly sings in Hindi, Urdu and Punjabi, but has also sung in Bengali. He is a recipient of numerous Lux Style Awards, he also received Tamgha-e-Imtiaz in 2008, the fourth-highest decoration given to civilians in Pakistan. Here are some hidden facts about Atif Aslam on her birthday. Atif Aslam first performed a fancy dress show, when he was in 1st class. He dressed up as the captain of Pakistan Cricket Team "Imran Khan". Atif being an intelligent student has completed his 10th standard at the young age of 14 itself.